Sandia Area has been providing a better banking alternative to the traditional bank for decades. 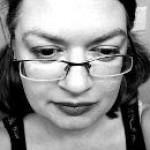 They are a not-for-profit financial cooperative. With no outside stockholders to pay, extra earnings are returned to you in the form of great rates, fewer fees, greater accessibility, and a full range of financial services you would expect to find at big banks. They just do it with your best interest in mind. 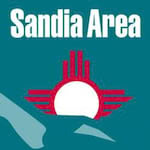 When you choose Sandia Area, you gain more than a checkbook, certificate or loan. You become a part of an institution committed to helping you reach your financial goals while simplifying your financial experience. They continually strive to offer a wide array of products and services at a fair and affordable price. I love this credit union because they allow anyone to sign up. You don't have to be a federal worker or anything. At least the last time I checked. Their fees are very low for their checking accounts, which is very helpful in this economy.